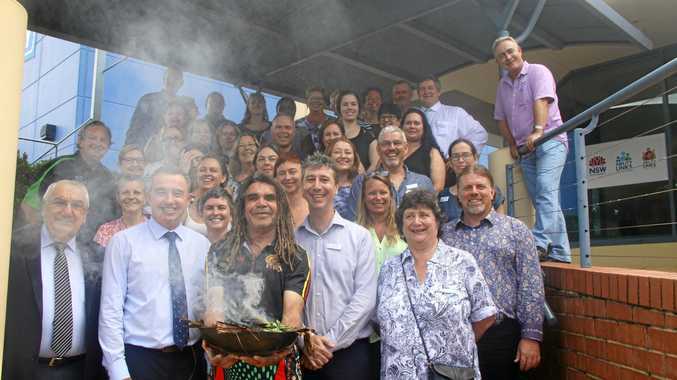 A TRADITIONAL smoking ceremony and a modern ribbon cutting heralded the official opening of the Lismore office of Social Futures on Monday morning. While the rain briefly poured, artist and Widgabul custodian Gilbert Laurie, performed the traditional welcome to country and smoking ceremony to around 50 people at the front of the Social Futures building at 256 Molesworth St.
Social Futures chief executive Tony Davies said as an official partner of the National Disability Insurance Agency, Social Futures now delivers Local Area Coordination (LAC) for the National Disability Insurance Scheme in Northern and Western NSW. That's in addition to its existing programs offering support in homelessness and housing; youth and family services; programs for people with disability; and community sector support and development. "It's great to finally declare the office open," he said. Mr Davies said Social Futures had been working with clients to create around 300 plans a month and so far since July, had helped more than 1000 people make the transition into the NDIS. He said the organisation was also going to attract a whopping 28,000 jobs in NSW over the next 18 months. "The role of a local area coordinator is to support a participant throughout their transition onto the scheme," he said. 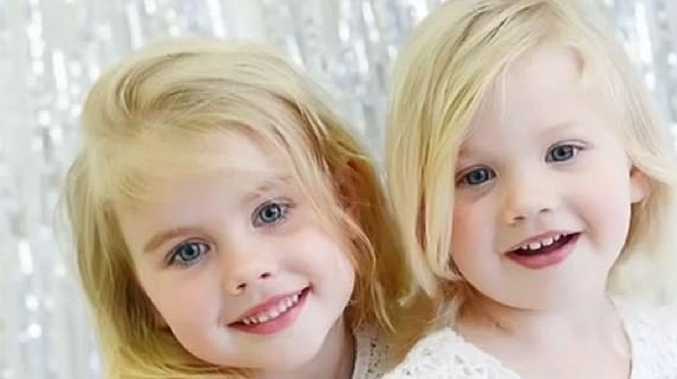 "They help people to identify their current support needs in order to develop their NDIS plan (and) once the plan has been approved they help to ensure participants are connected to supports and work with them to achieve their goals. Social Futures employs 80 staff throughout Northern and Western New South Wales to deliver Local Area Coordination of the NDIS with offices located in Tweed Heads, Lismore, Grafton, Ballina, Casino, Orange, Dubbo, Parkes, Bathurst and Broken Hill. "By mid-2019 we anticipate there will be a need for 28,000 jobs for support workers across many areas including assisting clients with their daily activity needs including job support, therapy and social activities, so it will create a massive amount of jobs,," Mr Davies said. "We created 50 jobs in the area of local area coordinators." Member for Page Kevin Hogan said the official opening really showed the wonderful work the organisation undertook throughout the region. "Today is a great day for two reasons, NDIS is very important programme and a lot of work has been done by you helping people transition into the scheme," he said. "To all of you working on the ground you, thank you, you are working with people in great need and I thank you from the bottom of my heart." There was also a purple ribbon cut by Social Futures local area coordinator Gina Saunders, with assistance from Mr Hogan, Mr George and Cr Darleen Cook. Mr Davies said anyone eligible to receive support through the NDIS who has not yet been contacted with information about the scheme, please contact us on Telephone 1800 522 679 or email lac-enquiries@socialfutures.org.au.